Ultra-light: It’s like wearing nothing at all. 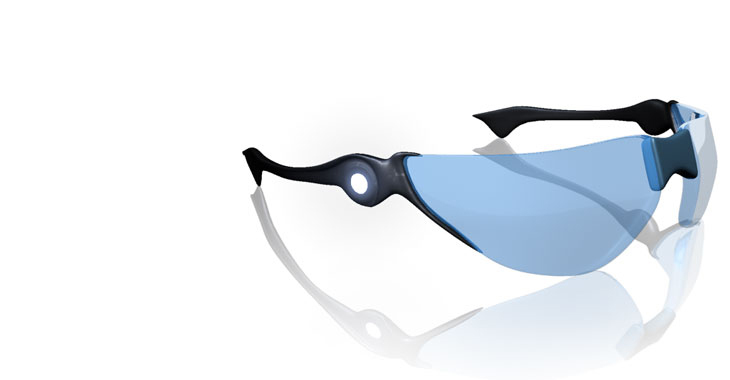 Wrap-Around Frames: Get 360 degrees of realistic imagery. Voice-Activated: Navigate history using our highly customizable Speech Recognition Software. Simple, Informative HUD: Access maps, fun facts, historically accurate accessories and the Find–A–Date™ Search Engine. The History HUD is what makes TimeTraveller™ different from other virtual reality adventures. Simple, yet powerful, you can use it to log in, find a date, check a map, get a weapon (or other historically accurate accessory), all without taking your eyes off the show. Want to watch Christopher Columbus set foot in the New World , but don’t know exactly when (or where) it happened? Our patented Find–A–Date™ Search Engine will find it for you - just punch in a few simple keywords, Like “Columbus + New World” and you’ll be on the island of San Salvador (24°06’N 74°29’W) on October 12, 1492 in no time! Sometimes you just want to watch. 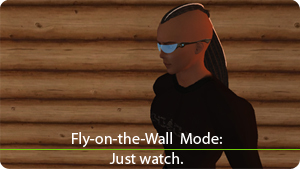 With Fly-on-the-Wall Mode you can just sit back, enjoy and save some CPU cycles while still getting the thrill of total immersion. 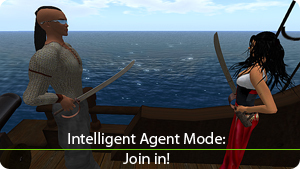 In Intelligent Agent mode, TimeTraveller™ dynamically alters the dialogue and actions of the historical figures to include you in their conversation and activities. Brought to you by – making history accessible, affordable and interactive.